Summary: There is a right way to argue that the King James Bible is the Bible that Protestants should use. Not everyone will agree with it. I am not perfectly comfortable either. However, the viewpoint offered by those who call themselves “confessional bibliologists” have a strong case to make and deserve a careful hearing. They have the reasoning of Martin Luther and John Calvin to support them. Identified here is what they assert and why it is materially different from the quackery and demagoguery of fundamentalist King James Only advocates. Perhaps there is nothing as compelling as discovering something old that becomes new again. Over the past few weeks, my research has led me down this path. It is a good path and one I wish to share with my followers. It does not mean I have changed my view. I am still focused on why the Septuagint, the Bible of the early church, should be taken very seriously by today’s Church. As I have stated many times before, it is because there are errors in the Masoretic Text dealing with Messianic Prophecy and with Genesis Chronology. 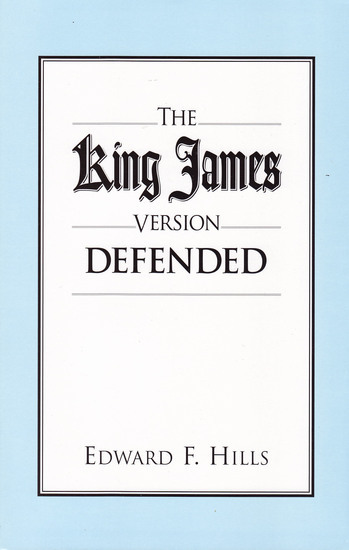 But to make room for that argument, I have had to defend my thesis by tackling the King James ONLY sect. 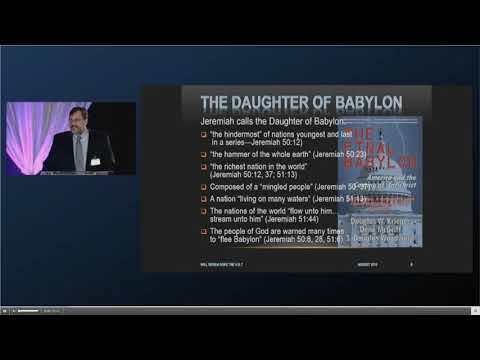 Since the King James Onlyism denies that the Septuagint has any validity or relevance to biblical Christianity, I have had to take a sideroad, an expected sideroad, to defend my thesis and show what’s on this road among many evangelicals who are slightly, somewhat, or totally enslaved by the KJV ONLY viewpoint. There is a sophisticated and properly biblical way of arguing on behalf of the King James Bible as the inspired version of the New and Old Testament that the Church of Jesus Christ should follow. 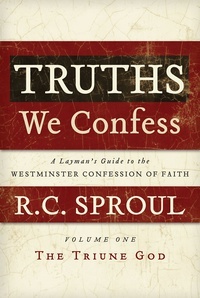 This path is know as the way of “confessional bibliology.” It follows from the Westminster Confession of Faith, i.e., the Presbyterian and Reformed Traditions (WCF) and the London Baptist Confession of Faith (LBCF). It would be better to think of these as traditions rather than denominations, most precisely, as historic ways of thinking about the Bible and the Christian Faith in line with Martin Luther, John Calvin, and the other primary reformers of the 16th and 17th centuries. (1) For the Fundamentalist — God supernaturally inspired the translators of the King James Version to create an inerrant translation, perfect in every way, that surpasses the Hebrew and Greek original languages. This approach is equivalent to the inspiration of the original autographs. This is the common view of today’s King James Onlyism community. This group professes a traditional argument for accepting only the King James Version of the Bible. (2) For the second group, a subset of Reformed Theology, which they self-identify as the Preservationist – God worked providentially through the “priesthood of believers” who publicly through the Church have always affirmed what constitutes God’s authoritative Word in every age and era. Since 1611, this is the King James Bible. Before this it was the Vulgate and before that, the Septuagint, and before that, the Hebrew manuscripts in whole or in its inspired parts as the case may be. 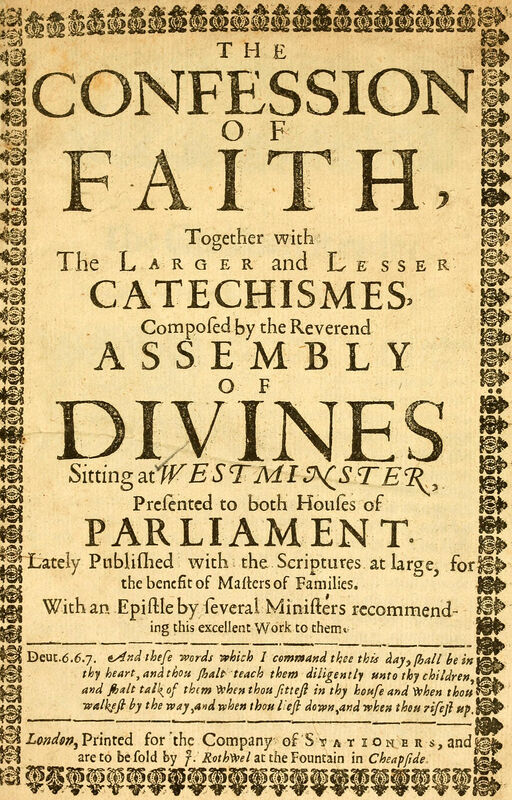 This view derives from Reformation Theology, but more specifically, the Westminster Confession created in England in defense of the Reformation by Anglicans against Roman Catholicism. First off, not all Presbyterians or Reformed thinkers subscribe to this view. It is much more rigid than most conservative “covenantal” thinkers. That is to say that there appear to be those in the WCF/LCBF tradition that accept and prefer the so-called “critical text” of Nestle/Aland. But I am speaking of those that only accept the “Textus Receptus” and repudiate the modern critical text that almost all modern Bibles follow. It is this latter group in the Reformed, Westminster tradition that professes a sound scriptural argument for accepting only the TR and the KJV. I reject outright the first group identified above (the Fundamentalist) as undereducated and employing an unscriptural view of inspiration — namely that someone other than Apostles were inspired by the Holy Spirit since the time of Jesus Christ. Such would be the case with King James Onlyism’s Sam Gipp and the late Peter Ruckmann. Still, to be clear, I disagree with this second group too, but far less so than the fundamentalist. And I thoroughly respect that they have a strong case for their position. They hold the King James Version in highest regard. They are not inclined to say it is flawless. But they are likely to testify that has been providentially protected by God and thus, the text represents how God has uniquely preserved His Word in English in our day. They are not in favor of any biblical criticism that treats the Bible as “any other book.” Such is their criticism of Princeton Theologian B.B. Warfield who they argue corrupted the view of the Westminster Confession by adopting modernism in his approach to textual criticism. For them, those who claim confessional bibliology, the Bible has divine authority and a method of transmission via God’s providence, that sets it apart from all other books. This means the Bible can’t be criticized on quite the same basis as the writings of Plato or Herodotus. Scripture is our authority and is the Word of God. Therefore, textual criticism must begin with this conclusion… not work its way to that conclusion. 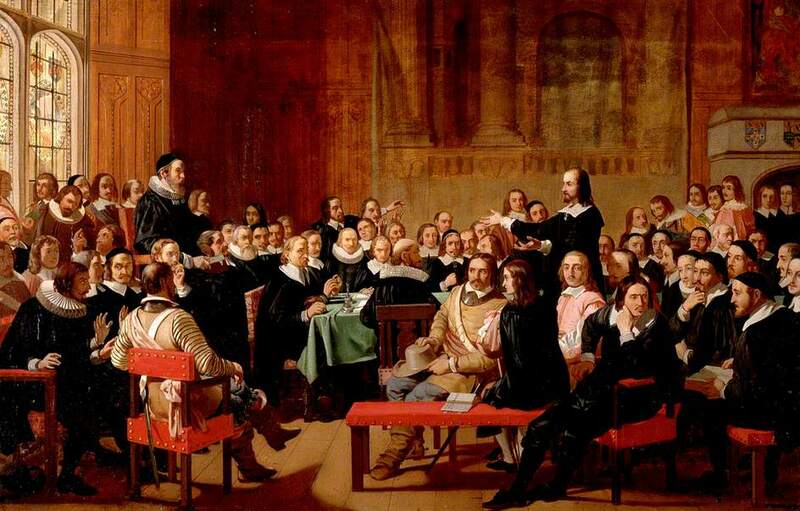 Their reverence is based upon the historic Reformed Faith and their view of Holy Scripture. 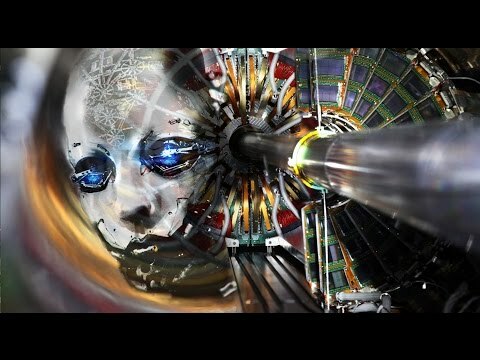 I wish to expand on their viewpoint a bit in this article and plan to review it much more thoroughly in future posts. 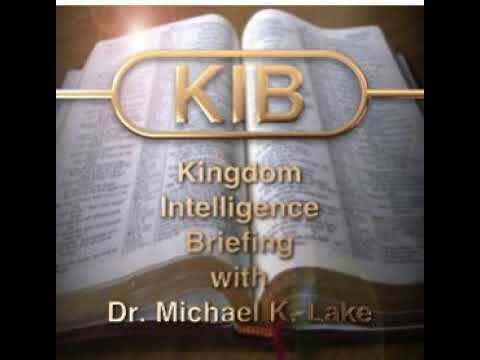 Over the past three months, I have posted numerous articles, many of which have been critical of the view that the King James Version of the Bible is inerrant and infallible. I have accused those who advocate for the KJV “ONLY” as a sect that ignores good scholarship and the realities of what we can demonstrate about errors in the 1611 “authorized” version. I continue to stand by my view that there are problems with the 1611 version. However, in my research, I have begun to study those who follow the Westminster Confession of Faith rigorously and have a high view of the KJV. Since my personal background has been in both Reformed and Presbyterian traditions (notwithstanding some dispensational color here and there), perhaps I am at fault for not realizing that my brethren in this tradition would likewise hold to an authoritative text that they regard as most likely supporting the King James and Textus Receptus “family” of manuscripts and Bible versions (to be clear, there are only two versions: The King James and the New King James).Today, only these two Bible versions specifically follow the Textus Receptus lineage of texts from Erasmus, Stephanus, Beza, and Elzivers — which are roughly (not totally) equivalent to the Byzantine and Majority texts). It was the 1633 Elziver version of the Textus Receptus that first claimed to be a Greek New Testament that should be known by this sacrosanct name. However, to indicate that the 1611 translators of the KJV followed the TR is, practically speaking, true enough. In the last article, I supported the view that the 1873 Scrivener bible “fixed” the King James Bible and brought it forward in such a way that the KJV was now a “modern” Bible and did great honor to the King James tradition. All King James Bible’s since this version, have basically been built upon the KJV Bible as Scrivener had it. In modern programming terms, Scrivener thoroughly scrubbed it — removing the inconsistencies, typos, misspellings, formatting, and other “bugs” that the KJV contained. It too was still not perfect, but it was about as perfect as any Bible could be before one gets into the question of whether “readings” of the biblical texts do or don’t belong in the Bible, based upon whether the evidence supports the reading being in the original autographs. That discussion is another story requiring many posts. But we will touch on here nonetheless. The material of the group that puts forth what they are calling Confessional Bibliology have a substantive website with an amazing amount of material to study. There are many articles and a solid reading list. You will find these at this link, https://confessionalbibliology.com/2016/03/28/welcome-to-the-revolution/. Two books that they recommend, I am currently reading. I am all but finished with the first book by Edward F. Hills, Text and Time: A Reformed Approach to Textual Criticism, formerly entitled, The King James Bible Defended. This book is very easy to follow and yet provides a scholarly, non-emotional but compelling scriptural argument for why the KJV deserves our continued commitment as Protestants. The other book, Has the Bible Been Kept Pure, by G.H. Milne, I have only begun but it too looks promising. For those that want to dig into the issue, you would do well to pick up these volumes. The first is available for free. Both are available at Amazon. Milne’s book was published recently in 2017 so it is quite current. Hill’s book has been revised several times, most recently by his surviving family. So what are a few of the salient points made held by this position? Here is a summary with my clarification offered in square brackets, i.e., [ ], following each assertion. for its objective cause the Holy Bible itself which proves its own divinity by its own beauty, and by its own doings [It is self-attesting, meaning that no outside proof is needed to authenticate its truthfulness]. for its subjective or efficient cause the Holy Ghost who confirms and seals to our souls the testimony of God [Its truth is applied to each believer personally to achieve its blessings for that person]. God has Providentially Preserved his word and kept it pure in all ages (Isa 59:21, Ps 12:6, 7, Rom 3:1-2, 1 Tim 3:15) [The entire message of the Bible has been provided in every era of humanity such that the Church always has had and continues to have God’s Word — although the vehicle has varied from age to age (i.e., first the Hebrew, then the Septuagint, then the Greek New Testament, then Latin plus the Greek, then “vulgar” — ‘common or native languages’, but the Greek Textus Receptus and King James Version is the English Bible through which God speaks. The authentic texts are the Textus Receptus (the Greek text used by the Reformers) [Beza’s TR 1598], and the Bomberg  Hebrew Bible (the Hebrew text used by the Reformers). The authentic texts are the final arbiter in all manners of controversies, including textual criticism [Authentic texts are the TR and KJV, and any text (such as the New King James) deemed to be authentic following the tradition of the TR and KJV by examination]. From my readings so far, it is apparent that there is no slavish attachment to the King James 1611 Version. The 1873 Scrivener Bible, which I applaud, is deemed to be an accurate representation of the Word of God which should be adopted as the standard Bible. Other “fundamentalist” axioms are not held by these brethren such as the rejection of other translations — to wit., it isn’t just English that God provides to humanity to preserve and share His Word. However, in English, the KJV is the authentic text. Preservation isn’t achieved by a miraculous inspiration of the translators writing a perfect translation. It is the recognition by all true believers that the Bible as received is the truthfulness of God. But Scriptural authority does not depend upon any human authority whether bishops or preachers or even believers in the pews. However, the body of Christ, collectively, will not endorse God’s Word through the Bible unless it esteems it to be so. Is this circular argumentation? Yes. But Scripture declares Scripture is the final authority placed in our hands by God for the security of Christ’s Body on this earth. 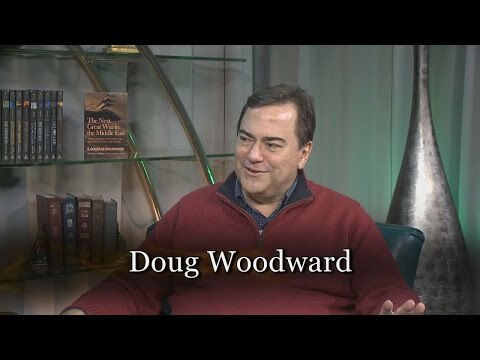 There are practical “proofs” for the Bible being God’s Word. But we aren’t to primarily to rely upon those proofs but rather the inner witness of the Holy Spirit individually and collectively as the Body of Christ. It isn’t a miracle that has made the 1611 Bible perfect (sorry Sam Gipp). But it is the providence of God that He has moved human caretakers through the centuries to ensure that the Word has always been preserved in every day and age. This confessional view rings true in many respects. It avoids some of the most outlandish claims of fundamentalism. But it still emphasizes that the Textus Receptus is superior to the so-called “Critical Text” of Nestle/Aland and the United Bible Society. 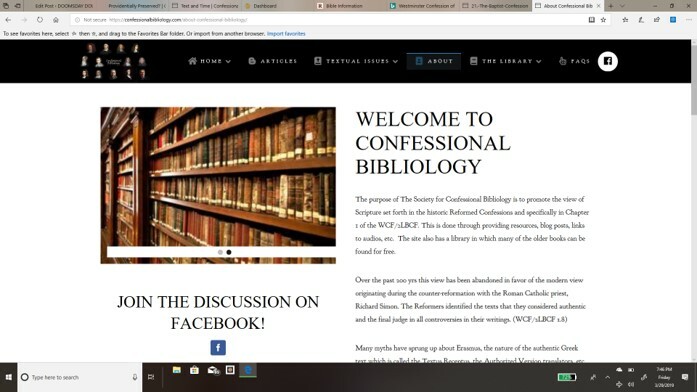 In our day, those who adhere to confessional bibliology are committed to the “King James Only” because they argue this is the position of Luther and Calvin and the Westminster Confession and the London Baptist Confession of Faith. This is historic, it is attested by hundreds of great scholars over the past 400 years, and this position can be well supported by Scripture. However, issues still remain that suggest that this isn’t the last page of the story. There is more research to be completed and more issues to set aright. As God wills, we will continue this study in the weeks ahead. A bit of errata on my part: I indicated in an earlier article that it was Beza’s 1633 Textus Receptus that “coined” the Latin phrase by which the TR would be known. This is incorrect. It was Elziver’s 1633 edition. Beza’s 1598 TR was the TR used (but not exclusively) as the Greek New Testament of the King James translators. My writing is not inerrant. Previous PostWHICH KING JAMES VERSION IS INSPIRED AND INERRANT? THERE ARE MANY TO CHOOSE FROM.Next PostHAS THE THIRD JEWISH TEMPLE BEEN BUILT ALREADY? DID SIMON BAR KOKHBA ACCOMPLISH THIS IN 132 A.D.?